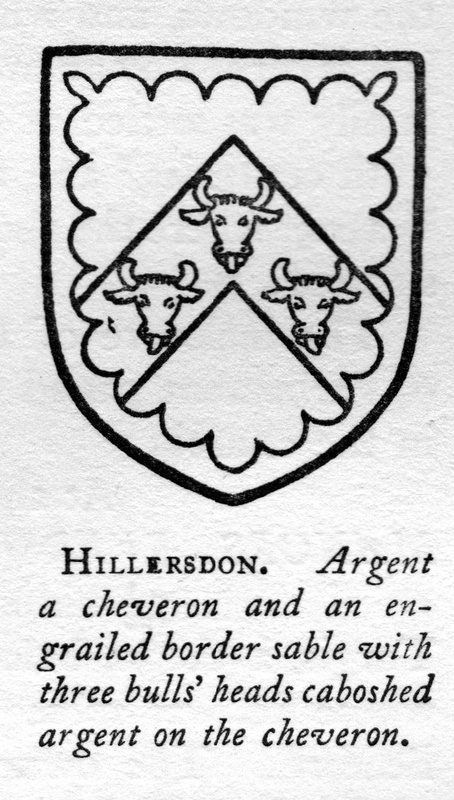 A History of the County of Bedford was an enormous work, edited by William Page, originally published in 1912 in many volumes. It was republished in a much cheaper format in 1920, and the text below is taken from this out-of-copyright issue. There are many OCR’d versions of the text online, most full of errors. This version has been proofread, but some of it still looks odd. For comparison, the pdf attachment at the bottom of this page holds a scanned copy of the pages. If you find any errors, please add a comment at the bottom of the page. The text of the footnotes below is impenetrable. The letters reproduced here are the letters at the bottom of the printed pages, but what they mean is anyone’s guess! Sorry, the reference numbers are just superscripts and not proper links to the footnotes, but feel free to fix it! There is a full copy of the history in Bedford library if anyone wishes to disentangle it. The images on this page are from the same article, too. Clicking each image will provide a much bigger version. It’s my opinion (EJW) that the suggestion below that the Reddall house was at Wakes End is entirely wrong. I think it was what became Linden. It’s frustrating that the one article in the text for which I would really like a proper reference does not have one! Is this memoir of Mr Cole reality, or myth? Here is the photographic copy of the printed document. The text below is a transcription of this copy. Evereshot (xi cent. ); Eversolt (xii cent. ); Evere-shout, Evereshawe (xiii cent.). The parish of Eversholt, covering an area of 2,145½ acres, contains no village proper, but consists of several clusters of houses called Church End, Brook End, Wits End, Higher and Lower Rads End, Water End, Higher and Lower Berry End, Hills End and Tyrells End, connected by a system of roads. The land rises gradually from the east, where the height is approximately 300 ft., to the west, where at Hills End and a little further north at Higher Berry End it reaches over 400 ft. above the ordnance datum. Part of Woburn Park stretches into this parish near Berry End, and is there known as Hay Wood and Wall Close. The church of St. John the Baptist and the schools are in the south at Church End. The present rectory and Church End Farm are fine Georgian houses of gauged brickwork. The old rectory and glebe-lands to the north of the church have now been absorbed in Woburn Park. The building at present known as Mill Farm, about half a mile south-east of Church End, was erected in 1851. About thirty years ago the farm was renamed, having been known previously to that time as the Model Farm, and before that as ‘The Isles.’ A hill to the south of the village is still known as Mill Hill; a windmill is said to have existed here, though not within living memory. Wakes End Farm in the north, between Birchall’s Wood and Briars Stockings Copse, is probably the site of the 16th-century manor of Wakes, and traces of a moat around it still remain. There is a small Methodist chapel at Wits End, and at Tyrells End is a parish reading-room. In the manuscript memoirs of a Mr. Cole, now preserved at the British Museum, is an account of his visit to Mr. Reddall of Eversholt in 1767, with the following description: ‘The house, grounds and fish-ponds are singularly neat and elegant. He has such an abundance of water, and that contrived so artfully, that you may see two pretty cascades from the windows, and what is more singular, his kitchen-jack is turned by an overshot watermill.’ Mr. Reddall’s family was settled at Eversholt during the 17th and 18th centuries,2and appears to have had property at Wakes,3 where the above-described house was probably situated. 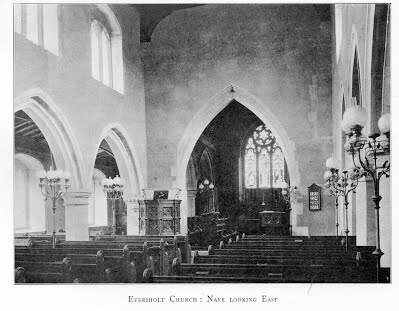 The inclosure of Eversholt was made by an Act of Parliament passed in 1806,4 and the award is now in the church. 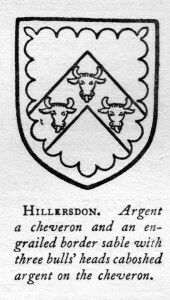 Their son and heir Thomas was in possession in 1676—7,29 and William Hillersdon, a son of this Thomas,30 suffered a recovery of the property in 1699.31 Three years later he conveyed it to Wriothesley Duke of Bedford for £3,901 6s. 6d.32 with whose direct descendants the manors of Eversholt and Wakes have since remained, both now belonging to the present Duke of Bedford. The rectory manor belonged to successive rectors appointed by the Knights of St. John until the Dissolution, when it with the advowson lapsed to the Crown. Record of a so-called manor of Wakes, in the parish of Eversholt, occurs in 1502, when it was held by John Lee and Katherine his wife in right of the latter, and by them conveyed to Thomas Langston.61 In 1560 it is found in the hands of Walter Hinton,62 and in the same year it was settled upon Thomas his son,63 who in 1599 conveyed it to Richard Charnock.64 Prior to 1613, however, it had passed to Sir Thomas Hillersdon, kt., and its further history is identical with Hillersdon’s manor of Eversholt (q.v.). 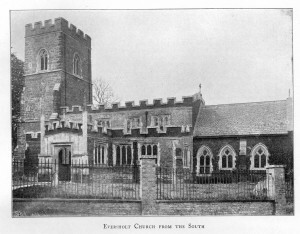 The priory of Dunstable, which received a grant of lands in Eversholt from Arnold son of Ernest and Felicia his wife in 1219,68 is returned as part holder of Eversholt vill in 1316.69 No further mention of lands held by this religious house occurs, and at the time of the Dissolution the return of the priory lands includes no possessions in Eversholt. The church of St John the Baptist consists of a chancel with a north chapel, part of which is now used as a vestry, a nave with north and south aisles, and a west tower. The earliest work is in the north arcade of the nave, of which all but the western bay originally dated from c. 1180; the western bay, c. 1230, witnesses to a lengthening of the nave and aisle at that date, while the chancel was rebuilt c. 1330, with the addition of a north chapel. In the 15th century the tower was built, and the south aisle was added soon after the tower. The nave clearstory is of this period, and the three east bays of the north arcade were then rebuilt, re-using the responds at either end. 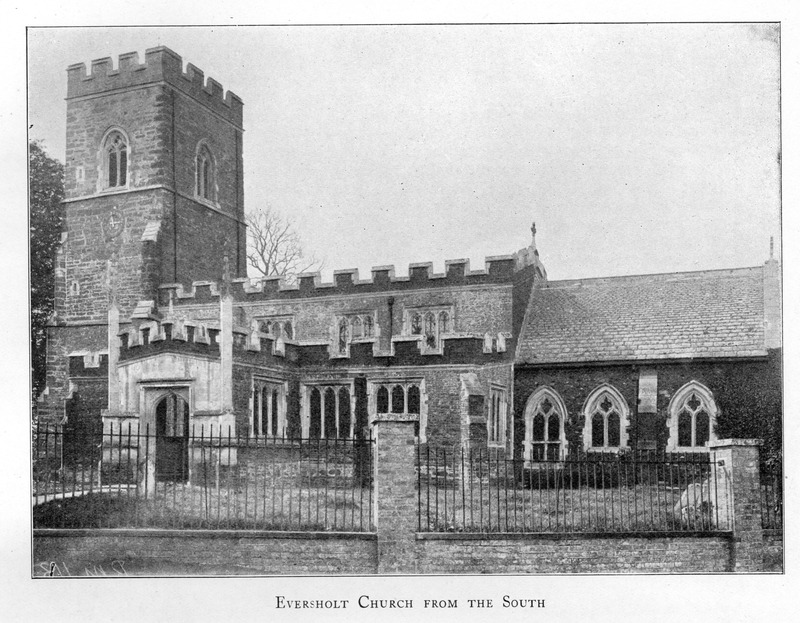 In 1864 the church was restored by Sir Gilbert Scott. The east window of the chancel is modern, of three trefoiled lights. On the south side are three pointed 14th-century windows of two cinquefoiled lights with flowing tracery, much repaired; the west window is lower than the others and divided by a transom to form a low side window. There is a cinquefoiled ogee-headed piscina with a label terminating in foliage, and with a crocketed pinnacle, and opposite in the north wall is a modern copy of it. On the north side is a 14th-century arcade of two bays, resting on a pier formed of four shafts separated by rolls, with moulded capitals and bases; the arches are in two wave-moulded orders. The chancel arch, is of the same date, springing from jambs which become thicker below the springing, suggesting that the lower part of the wall may be 12th-century work. The nave has a north arcade of four bays, between the third and fourth of which is a strip of walling; the first three arches are 15th-century work moulded in two orders, the shafts being octagonal with capitals and bases of the same date; there is a late 12th-century scalloped corbel at the east end, whilst the respond supporting the third bay is of the same date with leaf ornament. The west bay is in two chamfered orders on responds having half-round shafts with 13th-century moulded capitals and bases. The south arcade is in four 15th-century bays, with arches like those opposite, octagonal shafts and moulded capitals and bases. The clearstory windows, four on each side, are like those in the aisles. The tower arch is in three chamfered orders with 15th-century capitals and bases. The north aisle has three restored three-light windows on the north, and the doorway, also restored, is pointed with two continuous wave-moulded orders. The chapel has a north window like those in the aisle, but modern and narrow square-headed vestry windows in the east and north walls; the doorway is of the 15th century, and there is a 15th-century piscina. The aisle roof is 15th-century work with simply-carved bosses. The south aisle has windows like those in the north aisle and a 15th-century piscina, and the porch, which is of the same date, has similar windows at the sides; the outer arch of the porch is four-centred under a square head, the spandrels having carved foliage. The aisle has a 15th-century roof with well-carved bosses. The tower is of sandstone roughly coursed, and is in three stages, with an embattled parapet, moulded plinth and diagonal buttresses; the west doorway is of two moulded orders separated by a casement. The belfry windows are of two cinquefoiled lights with tracery under a pointed head. The west window, mostly modern, is like them. The font is of the 13th century, with a cylindrical bowl resting on a central and four detached shafts. There are no monuments of interest, but part of a brass, c. 1450, with effigies of six sons was discovered in 1864, and is now on the south wall of the chancel. There are six bells: the first and fourth by Miles Graye of Colchester, 1638; the second and sixth by Taylor of Loughborough, 1882; the third and fifth by William Emerton of Wootton, 1789 and 1786. The plate consists of a chalice with date mark 1688-9 and maker’s mark I. F. and a late Victorian paten. The registers begin as follows: baptisms 1628, burials 1631, and marriages 1630. 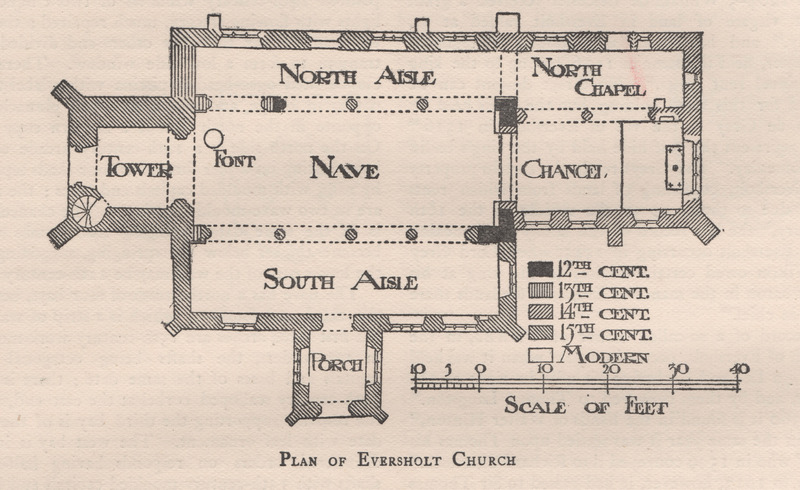 The earliest record of a church at Eversholt occurs in 1247, when the advowson of the rectory belonged to the Prior of St. John of Jerusalem in England.70 His successors evidently continued as patrons until the Dissolution, at which date the prior through the commandery of Shingay received an ancient pension of 2s. from the rectory of Eversholt, then valued at £16 11s. 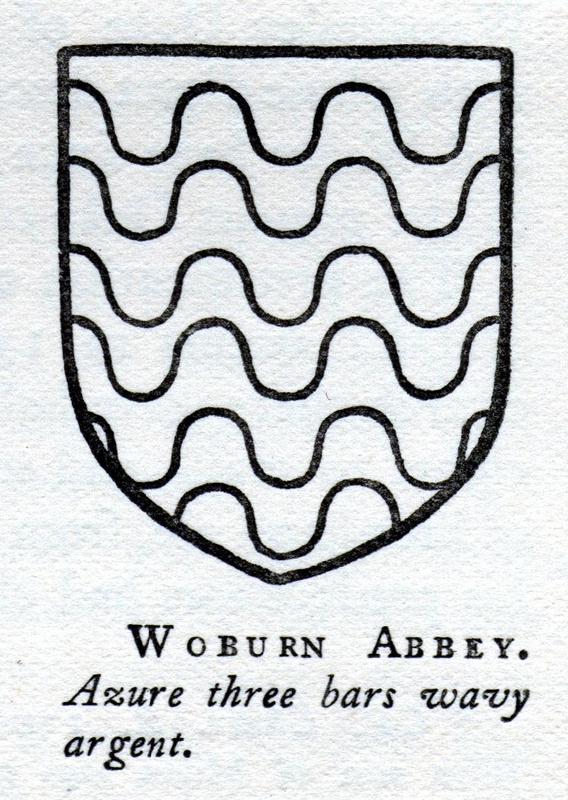 6d.71 The subsequent history of the advowson is identical with that of the rectory manor (q.v.). The Town Estate or Parochial Charity, the origin of which is unknown, consists of the Town Farm, containing 85 acres or thereabouts, the Green Man Inn, and 4 acres of meadow, eleven cottages, and 17 acres or thereabouts of allotments, acquired on the inclosure in 1808, producing a gross rental of about £225 a year. The charity is regulated by schemes of the Charity Commissioners of 19 February 1878 and 14 January 1887, whereby one-third of the net income is made applicable for (a) church purposes, (b) relief of poor, and (c) for educational purposes respectively. In 1907 the sum of £50 was allocated for each of these objects, the educational share being applied in money prizes to school children varying from 2s. 6d. to 13s. each, and £1 19s. to the lending library. 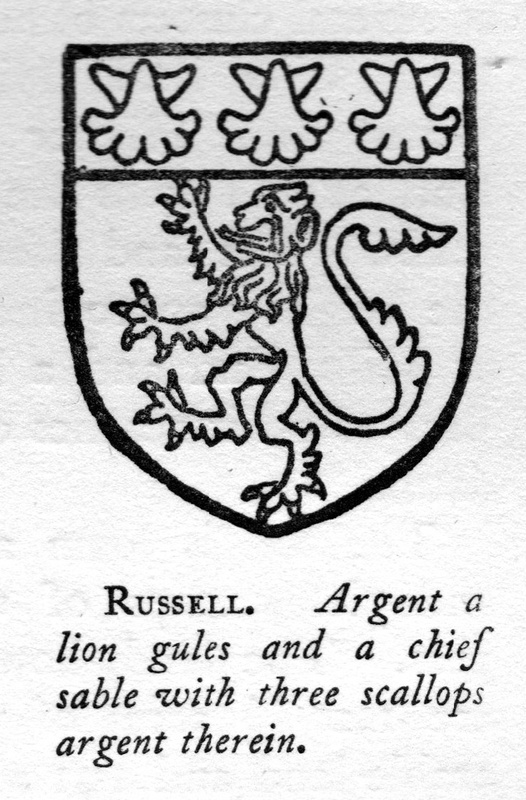 The reserve fund under the scheme amounted to £132. 2 There are numerous entries referring to this family in the Parish Registers of Eversholt. 3 In 1702 a small property in Wakes was purchased by the Duke of Bedford of A. Reddall. 4 Local Act, 46 Geo. Ill, cap. 129. 5 V.C.H. Beds, i, 239a. 7 The grant was made in 24 Hen. Ill, but the original charter is not extant. A confirmation, however, was made in 1315 (Cal. Chart. R. 1300-26, p. 287). 9 V.C.H. Beds, i, 239a. 10 Rot. Cur. Reg. (Rec. Com. ), ii, 131. 11 Feet of F. Beds. 4 John. 12 Testa de Nevill (Rec. Com. ), 249b. 13 Cal. Chart. R. 1300-26, p. 287. 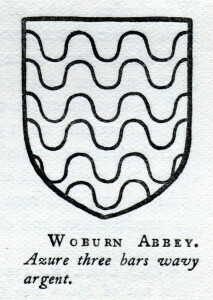 John son of Miles also made a further alienation to the abbey in 1252 (Feet of F. Beds. 36 Hen. III). 14 Feet of F. Beds. 5 Hen. Ill ; Chan. Inq. p.m. file 20, no. 6. 15 Cal. Pat. 1281-92, p. 128. 16 Chan. Inq. p.m. 12 Edw. I, no. 45; Cal. Pat. 1281-92, p. 137. 18 Ibid. 1301-7, p. 494. 19 Ibid. 1348-50, p. 473. 20 Ibid. 1391-6, p. 69; Chan. Inq. p.m. 15 Ric. II (pt. ii), no. 17. 21 Valor Eccl. (Rec. Com. ), iv, 212. 22 L. and P. Hen. VIII, xvii, 28 (21). 23 Pat. 4 Edw. VI, pt. iii ; Harl. MS. 608, fol. 43. 24 Pat. 43 Eliz. pt. xiv, m. 1. 25 In this year he made his will, and mentions the manors of Eversholt and Wakes in Eversholt. 26 Chan. Inq. p.m. (Ser. 2), cccxcviii, 125. 28 Beds. N. and Q. iii, 284 ; Feet of F. Beds. Hil. 1651. 29 Ibid. Hil. 28-9 Chas. II. 30 Parish Register of Eversholt. 31 Recov. R. Hil. II Will. III, rot. 35. 33 Information supplied by Mr. Prothero, agent of the Duke of Bedford. 38 Plac. de Quo Warr. (Rec. Com. ), 78. 34 L. and P. Hen. VIII, xv, 613 (1). 35 In 1570 the rectory was held by John Keblewhite, by lease for a term of years (Chan. Proc. [Ser. 2], bdle. 142, no. 31). 36 Chan. Inq. p.m. (Ser. 2), clxiii, 6 ; P.C.C. 12 Peter. 37 G.E.C. Complete Peerage, i, 296. 38 Feet of F. Div. Co. Trin. 36 Eliz. 39 Chan. Inq. p.m. (Ser. 2), ccclxii, 164. 40 G.E.C. Complete Baronetage, ii, 71. 41 Feet of F. Beds. Trin. 10 Jas. I. 42 Chan. Inq. p.m. (Ser. 2), ccclxxvi, III ; Fine R. 17 Jas. I, pt. ii, no. 5. 43Recov . R. Trin. 1649, rot. 88; G.E.C. Complete Peerage, i, 296. 44 Recov. R. East. I Will, and Mary, rot. 54. 45 G.E.C. Complete Peerage, vi, 128. 46 Recov. R. Mich. 9 Geo. III, rot. 140. 47 G.E.C. Complete Peerage, vii, 54. 48 Information supplied by Mr. Prothero, agent of the Duke of Bedford. 50 V.C.H. Beds, i, 196. 52 Hund. R. (Rec. Com. ), i, 4 ; Feud. Aids, i, I. 53 Testa de Nevill (Rec. Com. ), 243, gives the Rochester fee in Eversholt with that in Milton Bryant. 54 Cal. Pat. 1281-92, p. 427. 65 V.C.H. Beds, i, 263a. 56 Rot. Lit. Claus. (Rec. Com. ), ii, 20. 57 Hund. R. (Rec. Com. ), i, 5. 58 Feud. Aids, i, 21. 59 Chan. Inq. p.m. 44 Edw. Ill (1st nos. ), no. 30 ; 1 Hen. V, no. 15. 60 Ct. R. portf. 153, no. 24. 61 Feet of F. Beds. Trin. 18 Hen. VII. 62 Recov. R. East. 2 Eliz. 63 Com. Pleas D. Enr. East. 2 Eliz. 64 Feet of F. Beds. Hil. 41 Eliz. This may have been only a mortgage. 65 Pope Nich. Tax. (Rec. Com. ), 48b. 66 Valor Eccl. (Rec. Com. ), iv, 189. 67 Harl. MS. 608, fol. 42. 68 Feet of F. Beds. 3 Hen. III. 69 Feud. Aids, i, 21. 70 Harl. MS. 6950 (Rolls of Bishops of Lincoln, 13th cent.). 71 Valor Eccl. (Rec. Com. ), iv, 213. In 1291 the value of the rectory after the deduction of the portion pertaining to Newnham Priory was £4. 13s. 4d. ; Pope Nich. Tax. (Rec. Com. ), 35. 72 Chart. R. II Edw. II, no. 87 ; Dugdale, Mon. vi, 374. 73 Pope Nich. Tax. (Rec. Com. ), 35. 74 Valor Eccl. (Rec. Com. ), iv, 187.